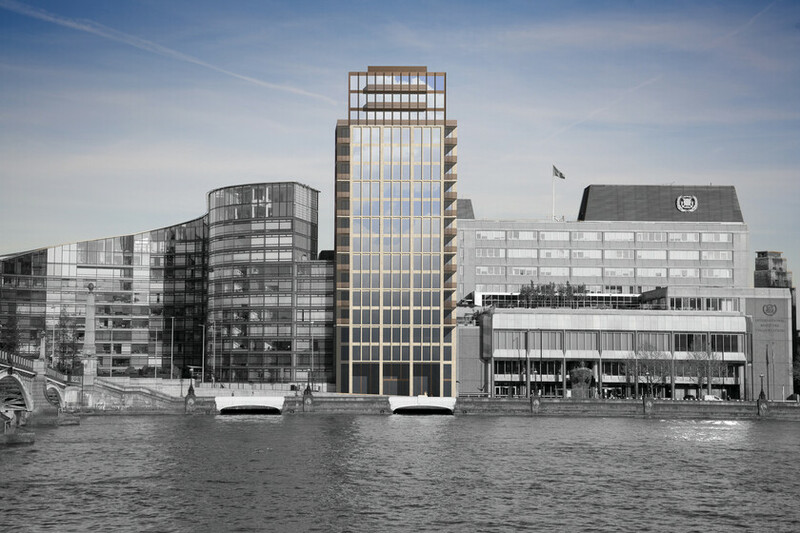 Westminster Tower, a commercial building on the south side of Lambeth Bridge is to be refurbished into a mixed-use building comprising commercial office space, residential units and a residential fitness studio. As part of the redevelopment, the lower floors of the building will be refurbished to provide high-grade office accommodation. Affordable residential units will be located on the 4th and 5th floors with market sale residential units on 6th to 14th floors. Three new floors of private sale residential accommodation will be constructed to replace the existing high level plant areas. The client brief has particularly strong environmental and sustainability themes that run through all aspects of the project. These include improved envelope performance, passive design of the building fabric, thermal storage, high-performance systems, energy efficient lighting and the use of renewable energy systems. The brief also calls for the use of passive and low energy technologies, water reduction measures and selection of materials for low environmental impact. The heating and cooling for both residential and commercial elements of the building will come from a closed loop Ground Source Heat Pump (GSHP) to provide highly efficient generation of space heating and cooling. The residential units will each have their own underfloor heating and FCU systems for heating and cooling. Fresh air will be drawn in from the façade via whole-house heat recovery ventilation units. During the milder months the building will open up to outside, drawing the fresh air in directly through the windows.